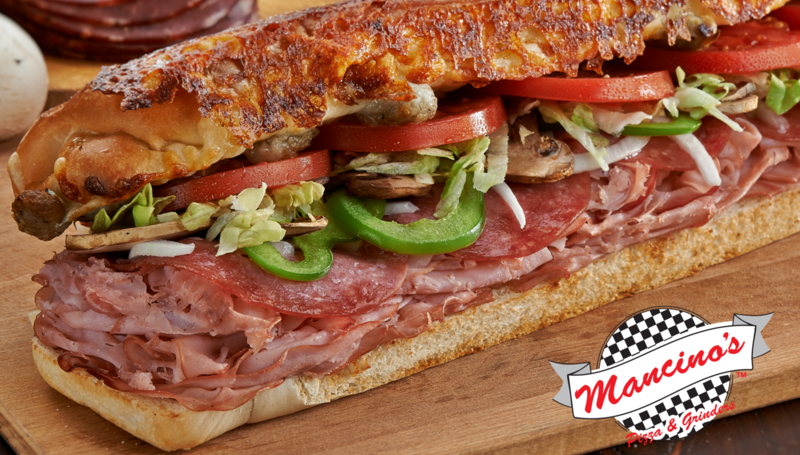 COMING SOON - Mancino's Cold Subs! Our new items are created from customer feedback. Please leave comments on the "About Us" page if you would like to see any new ideas added. We are always looking for ways to satisfy our customers. Malibu Chicken Grinder - Marinated chicken breast, crispy bacon, green peppers and mushrooms with melted mozzarella cheese and drizzled with 1000 Island dressing. * Garnished with lettuce and tomatoes. Hawaiian Grinder - Thinly sliced ham, crispy bacon, pineapple and onions topped with melted mozzarella cheese and drizzled with 1000 Island dressing. *Garnished with lettuce and tomatoes.